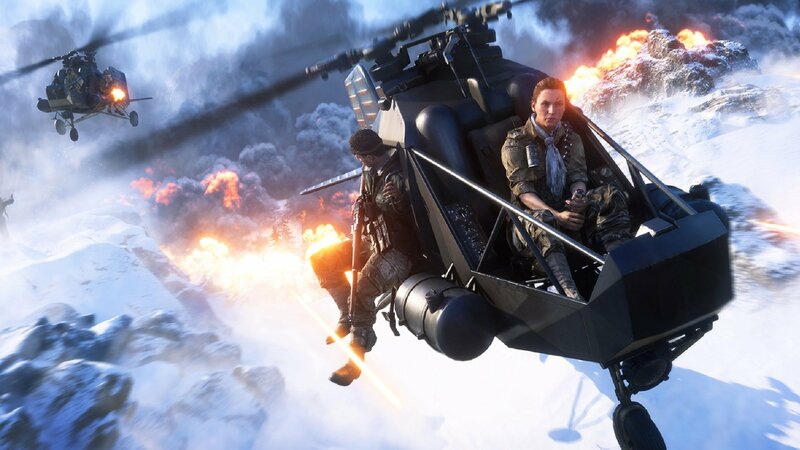 There's a new gameplay mode coming to Firestorm, the battle royale addition to Battlefield 5. Called Duo, the new mode is something of a recent development for Firestorm, having only been dreamt up late into the mode's development cycle. As might be expected, Duo differs from other Firestorm modes in that it allows players to group up into teams of two. As announced in a post made to the official Battlefield forums, the new Duo mode in Battlefield 5 Firestorm is available to play starting today. Fans will want to check out the action quickly, however, as it will be pulled from the game at 10 am UTC next Monday. "It’s our first time putting Duo out into the wild having started work on the mode much later in Firestorms development," the forum post reads. "We love it, and we think it’s a great addition to the game, but we recognize best that we’re better hearing that from you, and we’d appreciate your support in helping to make it a strong addition to Firestorm, and Battlefield V."
The Duo mode in Battlefield 5 Firestorm went live earlier this morning and will run all the way through the early morning hours of Monday, April 15. Be sure to drop into the action and send the crew at EA DICE some thoughts about how the new addition shakes up the Firestorm formula. For more coverage of the studio's latest battle royale experience, be sure to stop by Shacknews' Battlefield 5 Firestorm home page.